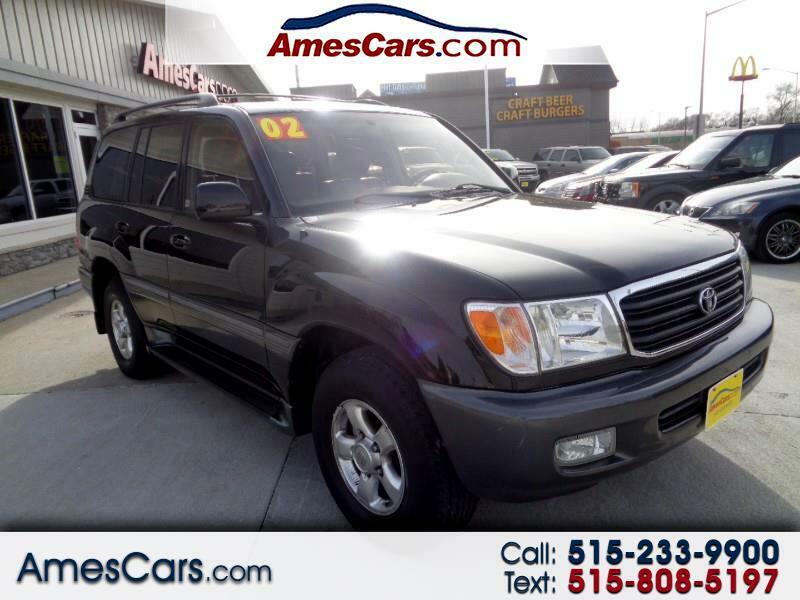 *****ONE OWNER*****2002 TOYOTA LAND CRUISER FEATURING LEATHER SEATS, HEATED SEATS, 6 DISC CD CHANGER, DUAL POWER SEATS, POWER SUNROOF, ALL WHEE DRIVE, THIRD ROW SEATING, POWER REAR VENTS, RUNS AND DRIVES GREAT! CALL FOR MORE INFORMATION AND TO SCHEDULE A TEST DRIVE TODAY!! Message: Thought you might be interested in this 2002 Toyota Land Cruiser.